A recent SEC No-Action Letter (Investment Adviser Association, February 21, 2017) clarified how an investment adviser can avoid having custody as a result of having a standing letter of instruction or other similar asset transfer authorization arrangement established by a client with a qualified custodian (SLOA). Maybe there is something wrong with a rule that needs continual guidance? Release 1.3 in App Store today! Price reduction for Professional Subscription: 6-months for $49.99 or 12-months for $99.99. Thanks to Apple’s new pricing model we have been able to pass savings on to our users. Reference Library content updated through end of Q3 2016. We pride ourselves on providing you with the latest, most relevant compliance documents. Be prepared and minimize any uncertainty. Added three new Compliance Checklists and three new Training forms. Our goal is to provide all the necessary tools you may need to carry out a complete compliance program. In addition to the latest documents you also have access to all the necessary Checklists and forms. Upgrades for iOS 10. Constantly improving App stability and optimizing for the latest iOS. Dupree Financial Group, LLC, an investment adviser registered with the SEC, was fined $25,000 for repeatedly failing to conduct the required annual review. As a reminder, under Section 206(4) of the Advisers Act and Rule 206(4)-7 thereunder, an investment adviser must review, no less frequently than annually, the adequacy of its compliance policies and procedures established pursuant to Rule 206(4)-7 and the effectiveness of their implementation. Entrepreneur Magazine Gives CCO Companion Thumbs Up! CCO Companion Release 1.2 in App Store Today! While we could probably list dozens of attributes that a competent chief compliance officer SHOULD have, we have come up with 6 that they MUST have. An informal survey of CCOs revealed that the very the first attribute – a keen understanding of the regulatory landscape – has been the most difficult to master. The adviser’s personnel or a related person serve as trustee or have been granted power of attorney for client accounts. The adviser (a) provides bill-paying services for clients and, therefore, is authorized to withdraw funds or securities from the client’s account; (b) manages portfolios by directly accessing online accounts using clients’ personal usernames and passwords without restrictions and, therefore, has the ability to withdraw funds and securities from the clients’ accounts; or (c) has signatory and check writing authority for client accounts. The adviser received checks made out to clients and failed to return them promptly to the sender. The adviser or one of its affiliates serves as the general partner of a limited partnership or holds a comparable position for a different type of pooled investment vehicle (such as by serving as the manager or managing member of a limited liability company or as the trustee of a business trust). The adviser has physical possession of client assets, such as securities certificates. As the saying goes, the only sure things in life are death and taxes. In the life of an investment advisory firm, however, there are 3 “things” that are certain to make your next SEC audit a living hell . . . 1. Recidivism; 2. Errors in Registration Documents and 3. CCO Not Knowledgeable about the Advisers Act or the Firm’s Compliance Program. We take a look in more detail about each of these below. This past Wednesday (April 6, 2016) the Department of Labor (DOL) issued a pre-publication version of the final regulation redefining the term fiduciary. 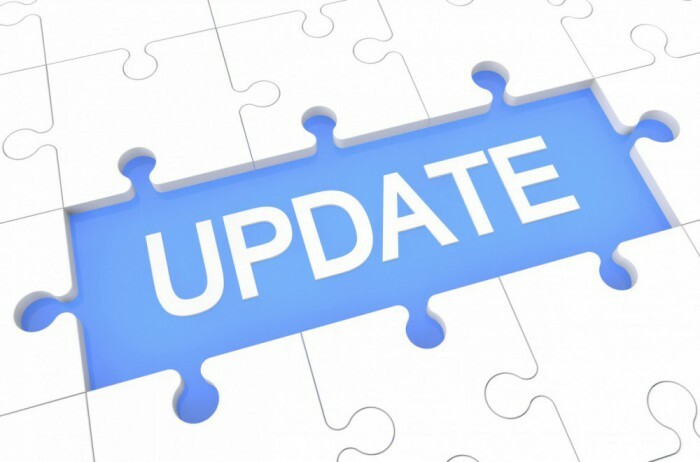 The packet of releases includes a press release, FAQs, a fact sheet and chart summarizing the changes from the proposed rule and the final rules and exemptions themselves. The DOL’s main page for the rule also contains links to other resources. Over the next few posts to this blog, we will be analyzing the rule and giving you the highlights. Inaccurate performance claims and advertising violations are always in the top 3 of compliance deficiencies found by SEC and state examiners. It is axiomatic that the Advisers Act and similar state statutes prohibit investment advisers from making misleading statements or omitting material facts in connection with conducting an investment advisory business. How is CCO Companion so Effective? This User’s Guide is designed to help you prepare for an SEC examination using the resources found on CCO Companion. Whether it is your firm’s first regulatory audit or its fifth, facing an SEC examination is a daunting experience. And unlike most experiences where the anxiety caused by the anticipation of the event is worse than the actual event itself (think root canal), the stress experienced during an SEC examination can often exceed your worst expectations (think root canal without Novocain). It is important to understand, however, that the actions you take prior to that dark day you receive notification of a regulatory exam go a long way toward ensuring a successful outcome. There is both an internal and external component to preparing for an SEC exam. The internal component involves looking at your firm’s existing compliance program and determining whether you are in compliance with all its stated requirements. If your compliance manual states that your firm is required to undertake a certain compliance task, then you must confirm that you are actually undertaking that task (and, of course, documenting that you are doing so). This aspect of exam preparation is primarily a function of your firm’s risk assessment, compliance testing and annual review processes and should (already) be fully integrated into your existing compliance program. This User’s Guide is designed to help you complete your annual compliance review using the resources found on CCO Companion. In order to streamline the compliance tasks you are required to undertake in any one twelve-month period, we have combined the annual compliance review and the required annual risk assessment into one comprehensive process. Pursuant to Advisers Act Rule 206(4)-7 (commonly known as the “Compliance Rule”), every investment adviser registered with the SEC is required to establish and maintain policies and procedures reasonably designed to prevent violations from occurring, detect violations that have occurred, and correct promptly any violations that have occurred. The Compliance Rule also requires advisers to review, no less frequently than annually, the adequacy of those policies and procedures and the effectiveness of their implementation. I was clearing out some old folders on my computer the other day and came across a list of the ten most common compliance deficiencies found by SEC examiners . . . in 2004! And you know what? In the ensuing 12 years, not much has changed. The list is provided below and in subsequent posts I will take a deeper dive into each issue and discuss what the SEC found then and how you can best address that issue now. The Reviews Are In and CCO Companion is a Smash Hit! 3 . . 2 . . 1 . . Blast Off!!! 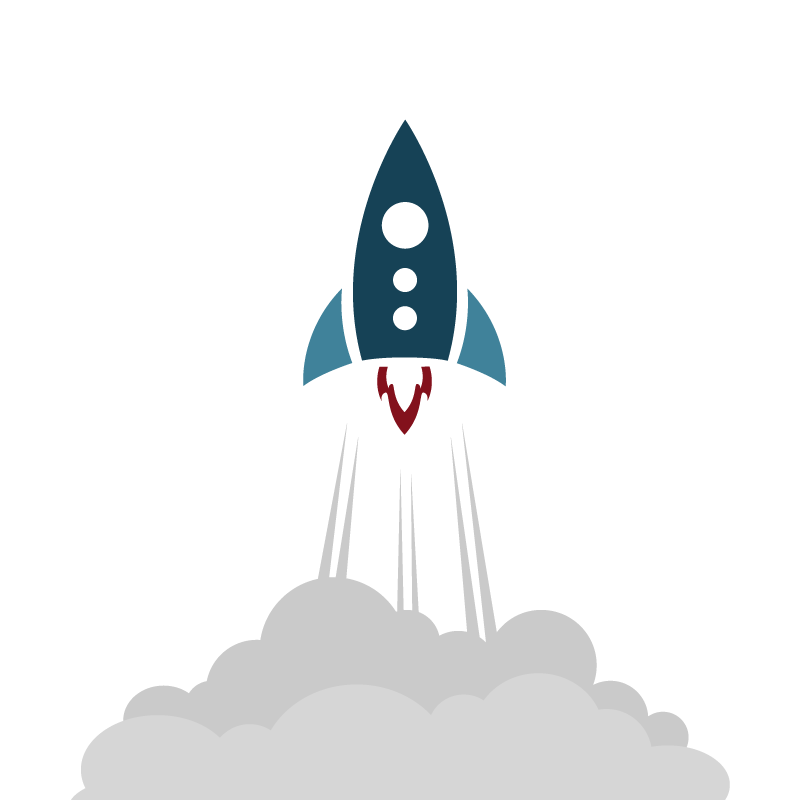 Today CCO Companion has launched into the stratosphere! Well, at least into the Apple App Store. 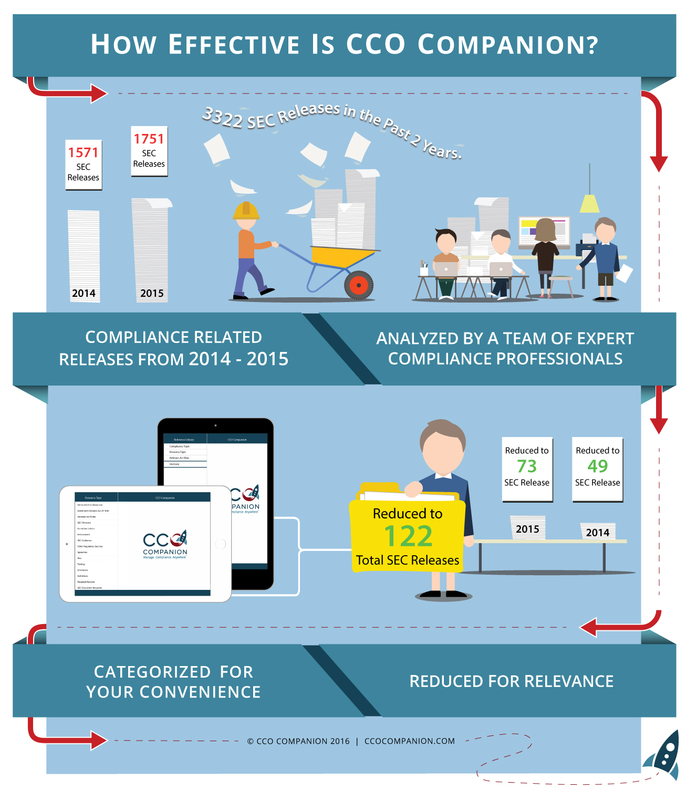 Over four years in the making, CCO Companion is a revolutionary leap forward for the compliance profession. And given the recent increase in SEC enforcement actions against chief compliance officers, it could not have come at more critical time for beleaguered compliance personnel. We are incredibly proud to have created such a formidable weapon for use by investment managers and their compliance personnel in their ongoing battle to tame compliance. In an earlier post (Dec. 16, 2015), we discussed how enforcement actions are a tremendously valuable resource for determining the parameters of current law and best practices. As reported in the Wall Street Journal, Michael Dondarski, the chief of regulated industries, oversight and evaluation at Treasury’s Office of Foreign Assets Control, recently said that OFAC’s enforcement actions are tools from which financial institutions can learn. No, not the NCAA tournament, but rather, the rush to get your annual updating amendment filed by the deadline. Remember that because this year is a Leap Year, the deadline for filing is March 30th and not the usual 31st. SEC firms should also note that they cannot file their annual updating amendment until their IARD user fees have been paid.